Israeli military forces raided several Palestinian homes in the Nablus town of Huwwara on Monday after a settler vehicle was attacked with firebombs, locals said. Witnesses told Ma'an that Palestinian youths hurled four Molotov cocktails at a settler vehicle traveling on the main road in Huwwara. The vehicle was directly hit and Israeli military vehicles arrived in the area shortly after the attack. No injuries were reported. Senior Fatah official Awad Najim Amin told Ma'an that dozens of Israeli soldiers broke into Palestinian homes near the main road following the incident. An Israeli army spokeswoman told Ma'an that two Molotov cocktails were thrown at Israeli vehicles, and that soldiers were searching the area for suspects. Violent confrontations were reported at the Israeli military roadblock in Hawara between Israeli occupation forces (IOF) and Palestinian young men afternoon Friday. The PIC reporter in the area said that the young men threw stones and empty bottles at the soldiers who responded by firing sound bombs and teargas canisters. 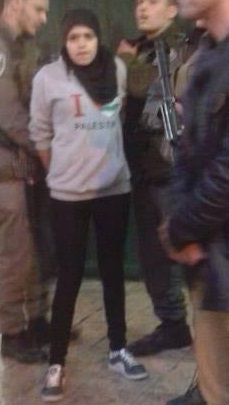 Eyewitnesses told the PIC reporter that the soldiers arrested a young man, but could not identify him. Meanwhile, popular resistance activists raised posters at noon Friday on road 60 leading to Yitzhar settlement reading “Get out of our Land”. Three Palestinian man were detained in villages south of Nablus on Wednesday, hours after four Molotov cocktails were thrown at a bus carrying Israeli settlers in the area. Ghassan Daghlas, a Palestinian Authority official who monitors settlement activity in the northern West Bank, told Ma'an that dozens of Israeli soldiers raided the village of Madama and carried out searches in the area. Locals told Ma'an that Mohammad Fawwaz Shareef Salih was detained near the village by Israeli forces. 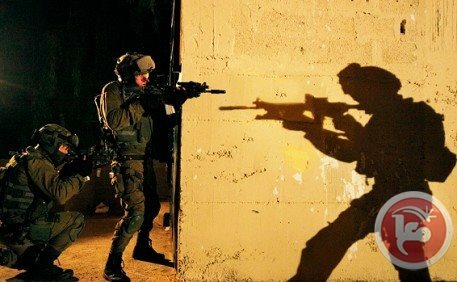 Israeli forces also detained two Palestinians in the Asira Al-Qibliya village nearby on Wednesday evening. Locals told Ma'an that Israeli forces arrested Majd Ahmad Saleh, 25, a Palestinian security forces officer, as well as Mohammad Fawaz Salih, 22, near Burin bridge near the main road. The two were reportedly taken to Huwwara military base south of Nablus. An Israeli military spokeswoman said she was not familiar with the incidents. The area around the villages south of Nablus is a frequent site of settler violence and Palestinian clashes with Israeli forces as it is located beside the notoriously violent Israeli settlement of Yitzhar. In mid-February, local settlers threw rocks at Palestinian schoolchildren and attacked a local high school in two separate incidents that led to clashes. Settlers frequently attack a number of local villages and prevent farmers from reaching their lands, according to UNOCHA, in addition to attacks on local olive trees themselves. 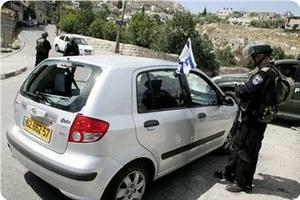 As a result, local youths sometimes respond by targeting vehicles belonging to settlers on the area's main roads. A Palestinian man was detained earlier this week on suspicion that he stabbed a man in central Israel, Israeli media reported Wednesday. The Hebrew language newspaper Maariv reported that 28-year-old Fadi Walid Ibrahim from Birzeit was arrested after being suspected of stabbing a man in Israel's Petah Tikvah. 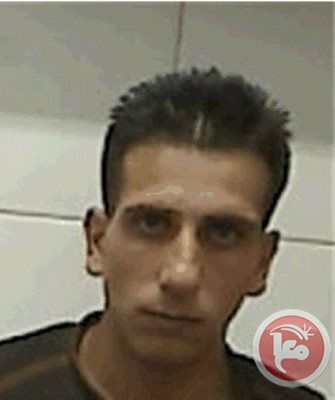 According to the report, Ibrahim told his interrogators that he was affiliated with the Popular Front for the Liberation of Palestine and that he stabbed the man in retaliation to the Israeli army's Thursday killing of a PFLP activist in the West Bank city of Birzeit. 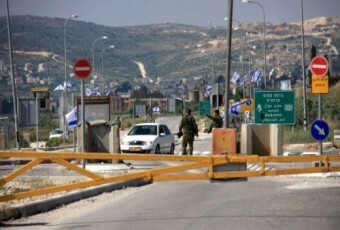 Ibrahim admitted to sneaking into Israel through the al-Zaayem checkpoint in East Jerusalem, the Maariv report said. 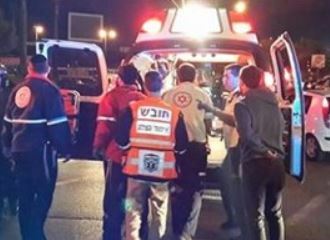 The Israeli news site Ynet reported Sunday that a 33-year-old ultra-Orthodox man in Petah Tikvah was stabbed and brought to the hospital with moderate injuries. On Thursday, Israeli forces killed 24-year-old Muatazz Washaha on after opening fire on a property in Birzeit. The PFLP vowed that it would respond to attack. Israeli forces have killed 40 Palestinians since the beginning of US-backed negotiations with Israel. Israeli forces were heavily deployed in a village near Bethlehem on Sunday after a Molotov cocktail was thrown at an Israeli car, locals said. Locals told Ma'an that an Israeli car driving on the main road of the West Bank village of Tuqu was lightly damaged by the Molotov cocktail. Dozens of Jerusalemite youths have protested at Bab al-Amoud in occupied Jerusalem on Saturday afternoon after Israeli occupation forces barred men under the age of 50 from attending Friday prayers at al-Aqsa Mosque compound. Eyewitnesses said that a group of the protesters tried to set fire to the Israeli police station located at the Dome of the Rock square, forcing Israeli policemen to close the station and flee the scene. Few days ago, angry protesters had set fire to a police station in Asbat Gate following the martyrdom of Jerusalemite detainee Jihad al-Tawil in Israeli jails. The Palestinian Center for Human rights on Thursday denounced an attack on a Catholic church in Gaza City, the group said in a statement. The PCHR urged the Gaza government to "seriously investigate the shameful crime," which they said was foreign to "the traditions and values of our people." 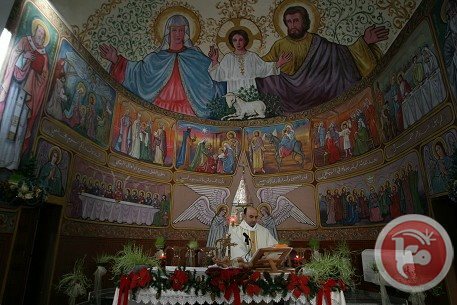 The statement said that a blast was heard at around 12:30 a.m. on Thursday in the courtyard of the church, which is affiliated to the Latin Patriarch in the Zaytoun neighborhood of Gaza City. Initial reports from Gaza police indicated that a homemade explosive devise was planted under a bus that belonged to the church, the statement said. Police also found "inappropriate" graffiti on a wall inside the courtyard, according to the statement. AFP reported that a hand grenade exploded in the church's courtyard late Wednesday, without causing any casualties or damage. "In the middle of the night, unknown assailants threw a hand grenade at the church. It landed in the courtyard and exploded but caused no damage or casualties," a parish official told AFP. "We won't let this juvenile and irresponsible act affect us and will carry on our work as normal," the source said, requesting anonymity. According to the Latin Patriarchate of Jerusalem, around 1,550 Christians live among the 1.5 million, predominantly Muslim, residents of the Gaza Strip. 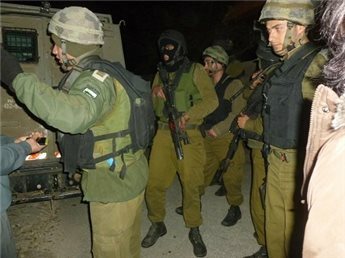 Israeli military sources have reported that three soldiers were injured, on Wednesday evening [February 26, 2014], after a Molotov cocktail struck their vehicle close to the Migdalim illegal settlement, near the northern West Bank city of Nablus. The army said that the three soldiers suffered mild to moderate injuries, and that the army conducted a search campaign in the area. In related news, the army said young Palestinian men hurled rocks at a settler’s car, near Azzoun town, in the northern West Bank district of Qalqilia. The army reported no injuries or damage to the vehicle. 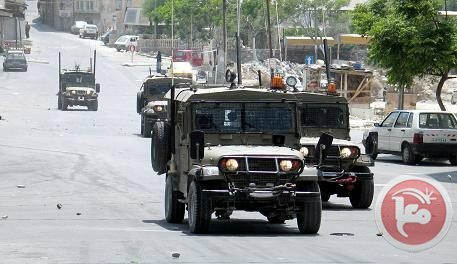 Soldiers invaded nearby Palestinian areas and conducted military searches; no arrests have been reported. 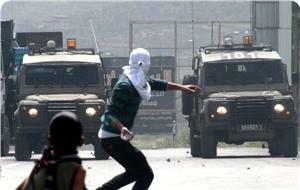 Gunmen opened fire at an Israeli military post near Ramallah late Monday, Israeli radio said. 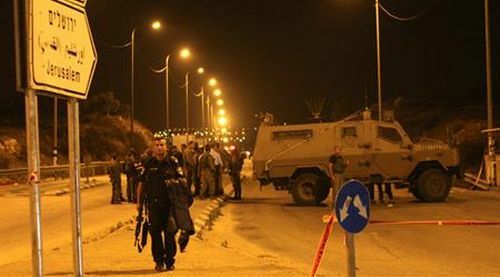 Reshet Bet said that Palestinian gunmen fired shots at the military post, with no injuries reported. Israeli forces searched the area and found empty bullet casings. Israeli forces raided the northern West Bank villages of Huwwara and Beita late Sunday after a fire bomb was thrown at an Israeli settler bus in the area. 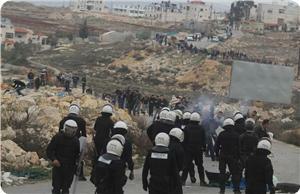 Witnesses told Ma'an that soldiers stormed the Nablus villages as flares were fired to light up the area. Sunday Evening [February 9, 2014] Israeli sources have reported that a hareidi (conservative orthodox) Jewish man was stabbed near the Damascus Gate, in the Old City of occupied East Jerusalem. Israeli Arutz Sheva (Channel 7 Israeli National News Agency) has reported that the police believes the 24-year-old man was stabbed for nationalistic motives. An Israeli medic said that the young man was stabbed in his upper torso, and did not lose consciousness. 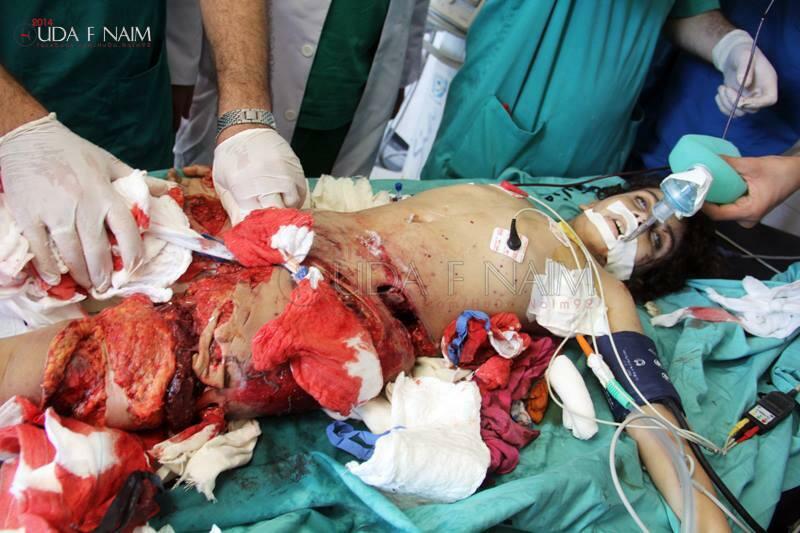 The Israeli man suffered mild injuries and was moved to a hospital in the city. The police initiated a search campaign in the area, and questioned several persons, but made no arrests, Israeli sources said. Violent confrontations took place at noon Thursday between dozens of Bir Zeit university students and Israeli occupation forces (IOF) stationed at Ofer prison near Ramallah. The PIC reporter said that students boarded buses that took them to Ofer where they got out of the buses and started throwing stones at the soldiers. He pointed out that IOF reinforcements and police forces arrived to the scene and started firing rubber bullets and teargas at the students, but no casualties were reported. The students were protesting the IOF cold-blooded murder of Mohammed Mubarak, 20, while he was working near Ramallah in a road maintenance project on Wednesday. Israeli forces reported that they detained a Palestinian man on Saturday afternoon after he "opened fire towards the entrance" to the settlement of Migdal Oz south of Bethlehem. No Israeli soldiers were wounded in the attack, which was described as being carried out with a homemade weapon. The unidentified Palestinian assailant was "transferred to questioning," according to an Israeli army spokeswoman. Migdal Oz is built at the entrance of Beit Fajar, a Palestinian village just south of Bethlehem. The Hamas Movement said that the shooting of an Israeli settler's car on Wednesday in Nablus city was a natural response to the daily violations committed by Israeli soldiers and Jewish settlers against the Palestinians. Its spokesman Hosam Badran stated in a press release on Thursday that the Palestinian people and the national factions have the right to resist the occupation and defend themselves and their land. Badran added that Hamas salutes the Palestinian who opened fire at the settler's car and welcomes any resistance acts against the occupation and its settlers. The spokesman stressed that regardless of the size of damage inflicted on the occupation and its settlers, the shooting attack was successful because it took place despite the fierce suppression of the resistance in the West Bank. Hebrew media sources had said that Palestinian resistance fighters opened fire last Wednesday night at an Israeli car boarded by settlers near Nablus city. More than 40 policemen of the Palestinian Authority, including Ramallah police chief Omar Al-Bazour, suffered different injuries during violent clashes on Sunday morning near Al-Jalazoun refugee camp with Palestinian protestors demanding the UNRWA to stop ignoring their demands. The Palestinian information center (PIC) reporter in Ramallah said the clashes broke out when the PA security forces used excessive violence to disperse the angry protestors who closed the Birzeit and Nablus roads leading to Ramallah. The PIC reporter added that the anti-riot police excessively used stun and tear gas grenades and hurled stones back at the protestors. 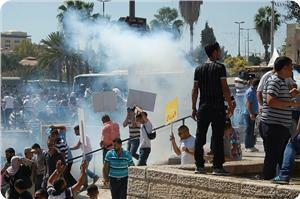 More than 20 demonstrators suffered injuries during the events and some of them were taken to Ramallah hospital. Dozens of Palestinian citizens from Al-Jalazoun refugee camp had blocked the northern roads leading to Ramallah in protest at the UNRWA's persistence in ignoring their demands. The demonstrators chanted slogans against PA chief Mahmoud Abbas and his security apparatuses, and described them as traitors due to the suppression they are exposed to by his security forces and the Israeli occupation forces (IOF). Protestors told the PIC reporter that the IOF subdue their protests every week, but this time the PA security forces did the job on their behalf. In another incident, Palestinian citizens from Al-Am'ari refugee camp blocked on the same day the main road between Jerusalem and Ramallah in protest at the UNRWA's policies. 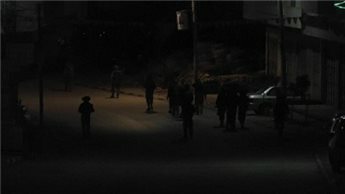 On Monday evening, a siege broke out on the town of Beit Awwa, south-west of Hebron in the West Bank, after a Molotov cocktail was thrown at the tower near the entrance of the town. 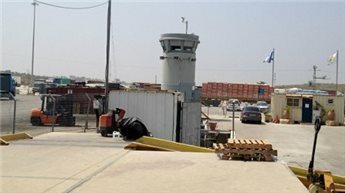 According to eyewitnesses, an Israeli soldier was burned by the cocktail which landed inside the tower, Radio Bethlehem 2000 has reported. The witnesses said that large forces of the Israeli army then raided the town, closing off entrances and imposing checkpoints in the surrounding area. 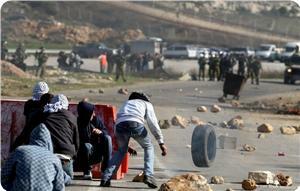 Sporadic clashes between Israeli soldiers and local citizens broke out, after a raid by several military vehicles. Israeli sources claimed that the army managed, late on Saturday evening, to foil an attack on the Migdal Oz Israeli settlement, in the Gush Etzion settlement block, west of the West Bank city of Bethlehem. Israeli online daily, Jerusalem Post, has reported that soldiers of the Kfir Infantry Brigade arrested four Palestinians allegedly carrying three knives and what was described as an improvised weapon. The four were reportedly trying to cross the settlement fence when undercover soldiers were dispatched to the scene, and arrested them. They were moved to an interrogation facility in Gush Etzion. The Jerusalem Post said that Captain Nir Mor, commander of the 96th Kfir Brigade, said the arrest “prevented an attack that could have been very serious”, and that the arrest was carried out after the army received a report from the “Control Room”. Israel believes that Palestinian fighters are increasing their activities against Israeli settlements and soldiers, and that it recently managed to foil several attempts. Israeli forces on Friday arrested a Palestinian teenager near Damascus Gate in Jerusalem for allegedly attempting to stab a border guard officer. Israeli police spokesman Luba Samari said that a 16-year-old girl from Jabal al-Mukkaber attempted to stab an Israeli soldier. During the arrest, a soldier was lightly wounded in the leg, Samari added. 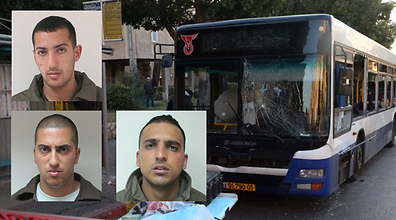 It was cleared for publication on Thursday that the Shin Bet, in collaboration with the IDF and police, arrested 14 men for involvement in the blast on a bus in Bat Yam last week. Four of the suspects are senior Islamic Jihad operatives, one of whom in Palestinian police training, residents of Bethlehem. Ten other suspects arrested for involvement in the attack include Negev Bedouins. The security forces arrested Sahada Taamri, 24, Hamadi Taamri, 21, Sami Harimi, 20, and Yosef Salamah, 22. The other 10 suspects were involved in the minor details of the plan. The Shin Bet's investigation revealed that during the last several months the group decided to execute a massive terror attack in Israel. The explosive was prepared by the Taamri brothers and Salamah, who used two kilograms of improvised detonation material, nails and screws, and had a switch attached to a cellphone to activate the bomb remotely. Harimi was given the bomb, hidden in a black bag, which he took with him on December 22 to the southern Hebron Hills, where he went with other illegal aliens to infiltrate into Israel. Harimi then got into the car of a Bedouin man, an Israeli citizen who helps Palestinians illegally residing in Israel, and the two drove to Jaffa. After praying in a Jaffa mosque, Harimi got on bus no. 240, laid the bomb, got off a few minutes later, and then called the cellphone that was attached to the bomb, thus triggering the explosion. The bomb was placed in a pressure cooker, similar to the bomb in last year's Boston Marathon. Harimi was arrested several days later in Bethlehem, admitting his part in the attack, and said that the group of terrorists wanted to execute a larger attack in Tel Aviv a few days after the Bat Yam explosion, but their arrests hindered their plans. Commanding officer of the Judea and Samaria Brigade, Brig. Gen. Tamir Yadi, told Ynet that "over the past few days we were after that cell of four operatives, including the one who planted the explosive device." "I'm upset and scared that we didn’t know about the cell, but it is possible that with hundreds of cells planning attacks there is one that we didn't about it," he said. One of the Taamri brothers led the security forces to a cache of explosives near his house. Upon entering the structure where the explosive was assembled, Israeli forces "found 25kg of explosives meant for further attacks," according to the IDF official. "This group is knowledgeable on preparing explosive devices." According to the official, security forces were familiar with several of the suspects. Reportedly, The Taamri brothers had already been in prison in Israel, Sahada was in training to become an officer with Palestinian police, and Harimi worked at a restaurant in Jaffa, even though he had no work permit. Security forces noted that the Bedouin who drove the perpetrator may had done so innocently and was not aware of his passenger's terror plans. Prime Minister Benjamin Netanyahu commended the Shin Bet, IDF, and police forces for "a timely capturing of a terror cell that laid an explosive device on Bat Yam bus." Netanyahu addressed the fact that one of the suspects was in officer training with the Palestinian police noting that "this is further proof of Palestinian Authority personnel's direct involvement with terror. It's time that Abu Mazen stops celebrating with released murderers and lead his people into the way of peace." Despite the attempted terror attack, the IDF official said that there is no clear indication that there is a security escalation and that "We can't ignore the successive events in Judea and Samaria during the past two years, but there is no specific alertness of terror in the Israeli home front." Security forces said that the Islamic Jihad terror cell in Area A worked out of Bethlehem, and that it was relatively new. The two Taamri brothers built the device together, and Harimi was the one who knew the best ways to sneak into Israeli territory. Two hours after the bomb exploded last week the Shin Bet had already detained some of the suspects. Ynet analyst Ron Ben-Yishai said that the use of the pressure cooker was used to intensify the blast, and that this was the first time the Palestinians used a pressure cooker. One of the workers in the Jaffa restaurant where Harimi is supposed to have been working said he knows all the workers there, and that Harimi didn't work there. A policeman was lightly injured in the blast in the city of Bat Yam in Israel's center last week.